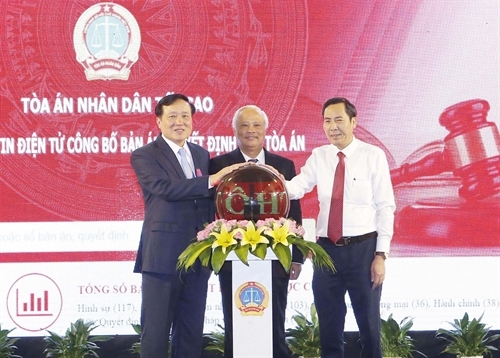 The Supreme People’s Court on July 18 held a ceremony in Hanoi to officially launch its website to publish court judgments and decisions at http://congbobanan.toaan.gov.vn. 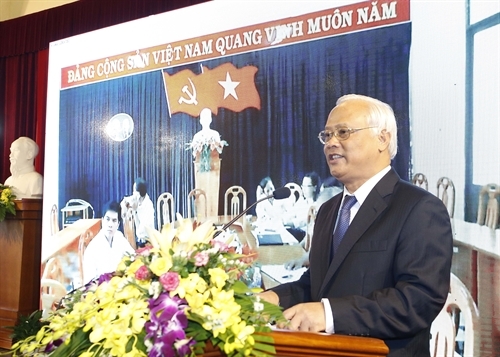 Addressing the ceremony, National Assembly Vice Chairman Uong Chu Luu hailed the establishment of the website, saying it would be an effective tool for people to examine and supervise courts’ operation, helping increase the quality of trial activities and responsibilities of judges and jurors. The online publicization of judgments and decisions would help judges and jurors share information and exchange experiences in trial activities, he added. The website also helps leaders of people’s courts at all levels supervise the quality of judgments and decisions in a timely manner. The website allows users to search for and directly see the contents of published judgments or decisions as well as other related information, including those of related fields and applied court precedents. Users may also give comments to the published judgments or decisions. Users may find on the website’s homepage the updated judgments and decisions, most-read judgments and decisions, and judgments and decisions that receive most comments.